We will teach you how to use these for your training so your dog feel completely satisfied! Also a great brand of tug toys and bite toys, these should be used for your training. Having these handy is a guarantee that you hold the key to unlocking your dog's satisfaction to completing the hunt. 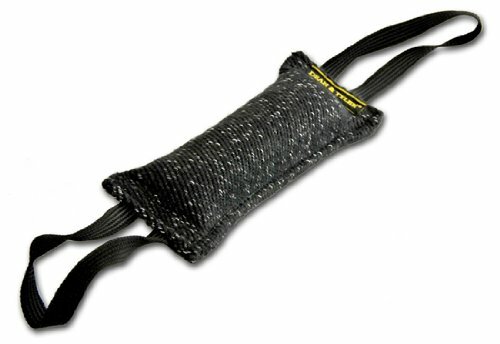 DURABLE&STURDY: Made of strong jute outer layer, thick foam inner layer and inside foam cover handle, provides the necessary support and protection from hard bites. 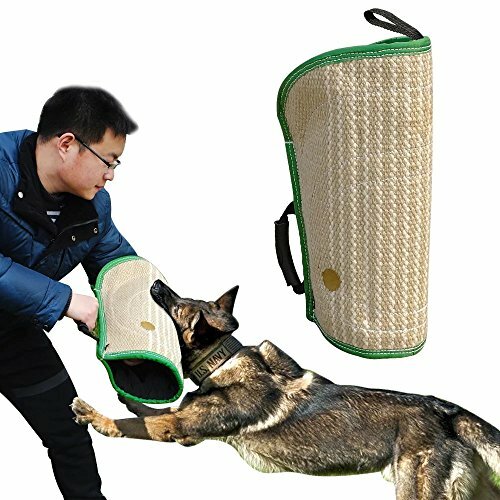 FUNCTION: This product is designed for puppies bite training. It is slightly flattened and more conducive to the size of the puppies mouth. A premium quality item: Just right for starting-out younger puppies, or even as an addition to general play items for older dogs. Size--Length*Width:19.3*11.8"(49*30cm),fit Police K9 ,German Shepherd Puppies and so on.